Why do the powerful medieval Knights Templar, the famed warriors of the Crusades, still intrigue many today? 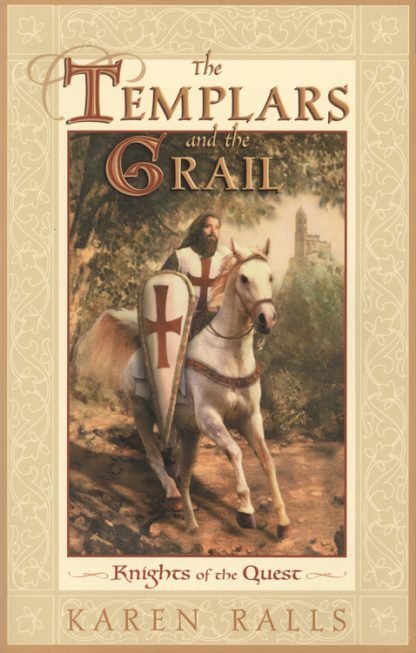 A secret society long shrouded in mystery, the Templars were believed to conduct mystical rituals, to guard the Holy Grail, and to possess the priceless treasures of the Temple of Jerusalem. Did they bring their treasure to North America, as some legends say? This definitive work about the Templars and their presumed hidden knowledge addresses many such fascinating questions, with rare photos from the Rosslyn Chapel Museum (Scotland) included. Karen Ralls, Ph.D. is the author of Medieval Mysteries: A Guide to History, Lore, Places, and Symbolism from Ibis Press. She is a highly regarded medieval historian who obtained her doctorate fromthe University of Edinburgh and a past deputy Curator of the Rosslyn Chapel Museum Art Exhibition (1996�2001). She has appeared in TV documentaries for The History Channel, Discovery, and National Geographic. Dr. Ralls is an International conference speaker, sacred sites tourguide, and workshop presenter.